Grants Acquisition Director is a member of the Senior Leadership Team, responsible for providing overall leadership to the Business Development Division with mandate to a) raise WV Tanzania’s grants portfolio, b) enhance WV Tanzania’s visibility and engagement with strategic stakeholders and c) strengthen grant compliance within the organization. Masters degree and/or professional qualification in International Development studies, Community Development or any Social Science related degree from a recognized University. To maintain accurate commodity accounting records of all food commodities movement including receipts, loans, inter warehouse transfers, dispatches, distributions and losses and beneficiaries by gender and age served with food and non-food, Gifts in Kind. The FAIRO is responsible for leading the field-based IT operations pertaining to the Last Mile Mobile Solutions (LMMS) technology and Commodity Tracking System. This includes provision of technical support to commodity distribution field staff during field registrations/distributions, in addition to running the LMMS web application to help staff set up new distribution projects, run commodity shipments using LMMS/CTS, and assist in consolidating and generating LMMS/CTS reports including shipment and loss claim registers and loss file. 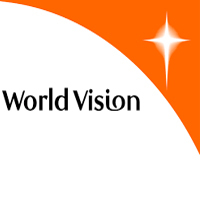 The holder of the position should communicate World Vision’s Christian ethos and demonstrate a quality of spiritual life that is an example to others. 3 years of food and non-food commodities tracking, accounting and reporting. Solid background in the window operating system – windows 7 / 8 in particular. Comfortable invoking, stopping or restarting system services, installing and uninstalling software, creating user groups and setting up user privileges. Knowledge of relational Database Management Systems- Exposure to MySQL Query highly desirable, including use of Database Management Tools (Such as MySQL Query Browser and Administrator). Ability to troubleshoot IT problems-both hardware and identified software failings. Aware of how to log, track and systematically troubleshoot IT problems. Online or digital tracking system for accounting and reporting in advantage. Very comfortable supporting end users. Fluent in English speaking, reading and understanding.